French President Emmanuel Macron hailed the ex-star striker’s victory, saying: “Congratulations to Mister George for this election! 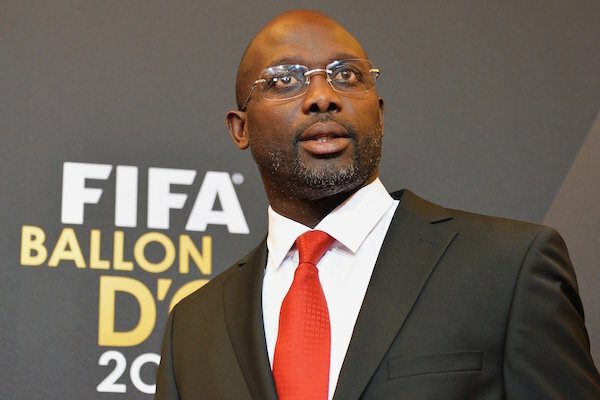 Great moment for Liberia!” He also invited Weah to visit France and the invitation had been accepted, Macron’s office said. “I think the Liberian people will expect… Weah´s presidency to (have a) pro-poor, pro-growth policy that will put the people at the centre of national development. Wherein that power is given to the people; the provision of education, youth training for disadvantaged and vulnerable youths that are on the streets and who see themselves in him,” said political analyst Vita Ishmael Tue. “In the eyes of many, nepotism, corruption, waste, and a messy educational system have dogged the government´s legacy, and its by-product is a shrinking economy,” it said. Weah’s latest campaign was not without controversy, however. Weah also had the backing of a notorious former warlord Prince Johnson who sipped a beer as his men brutally tortured former president Samuel Kanyon Doe to death. He was also allegedly supported by President Sirleaf.